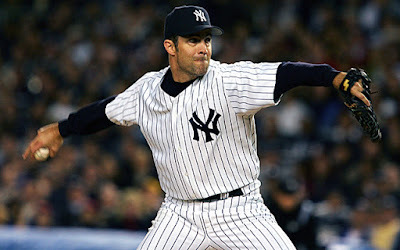 Mike Mussina, who won 270 games his 18-year career with the Yankees and Baltimore Orioles, was elected to the Baseball Hall of Fame on Tuesday night, joining teammate Mariano Rivera, along with Edgar Martinez and Roy Halladay. Mussina joined the Yankees in 2001, and won 123 games in his eight seasons in New York. He won 20 games in 2008, the only time he achieved that in his career, Mussina and Sandy Koufax are the only pitchers to retire as 20-game winners. Perhaps Mussina's finest moment as a Yankee came in Game 7 of the 2003 ALCS against Boston, when he pitched three scoreless innings out of the bullpen in a game the Yankees won on Aaron Boone's walk-off home run.